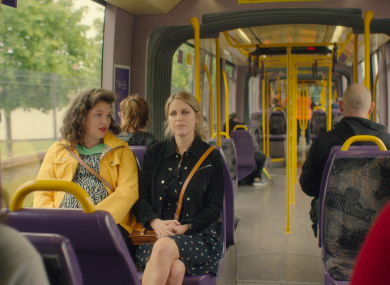 Amy Huberman’s new comedy series starts tonight. Amy plays Joy who is going through a tough breakup and starts to explore what could finally make her happy. Hint, it’s none of the things she tries. This week, the candidates have to create a new comic aimed at kids and pitch their ideas to leading industry figures in the hopes of getting some orders. Sounds easy, huh? A series of testimonies from Ireland’s youth about how they deal with their mental health struggles. Bound to be an important watch. Hozier appeared on the Ellen Show yesterday, where he performed his new single Nina Cried Power with Mavis Staples. Gogglebox Ireland (Virgin Media One, 9pm) More commentary from the families as they watch TV. The Bisexual (Channel 4, 10pm) A new comedy drama series about the differences of dating men and women through the eyes of a bisexual woman. Donal’s Meals in Minutes (RTE 1, 7.30pm) A new cooking series from every mam’s favourite chef, Donal. This Crowded House (RTE 2, 9.30pm) Brendan Courtney tries to help adults still living at home.